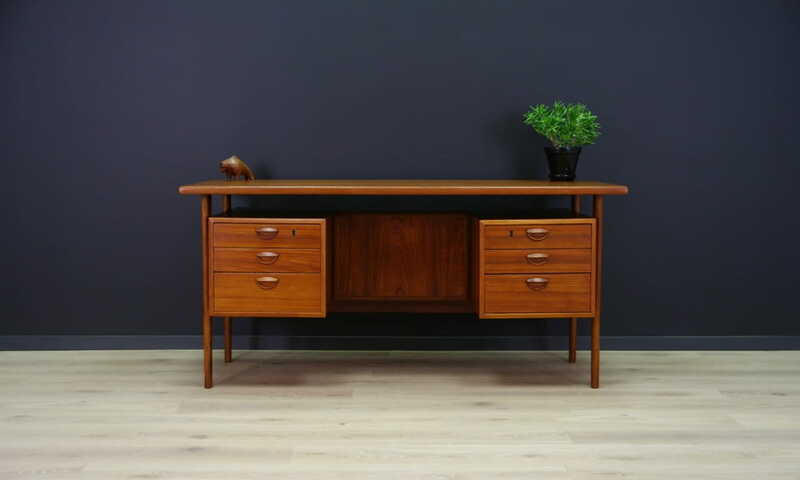 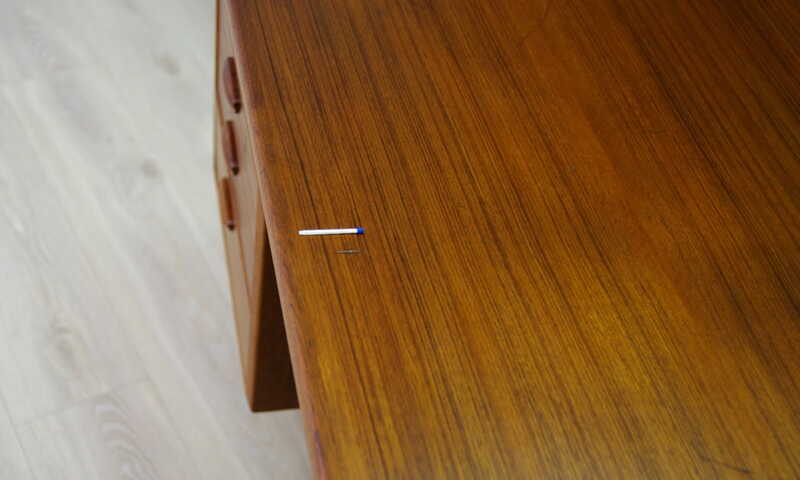 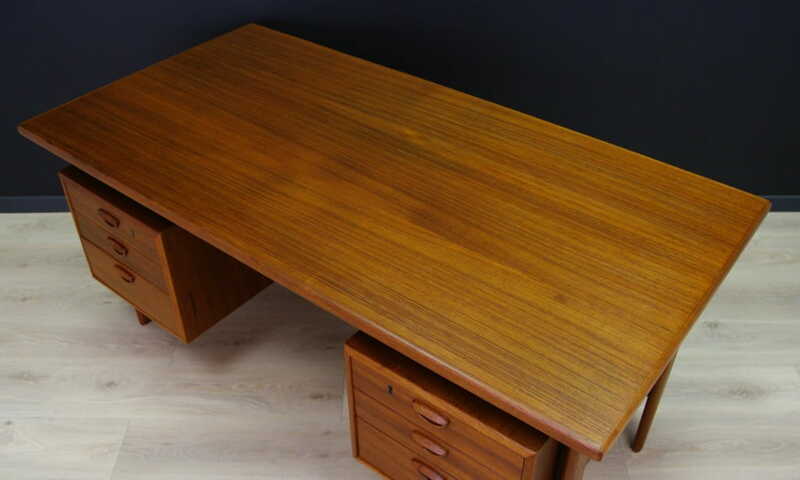 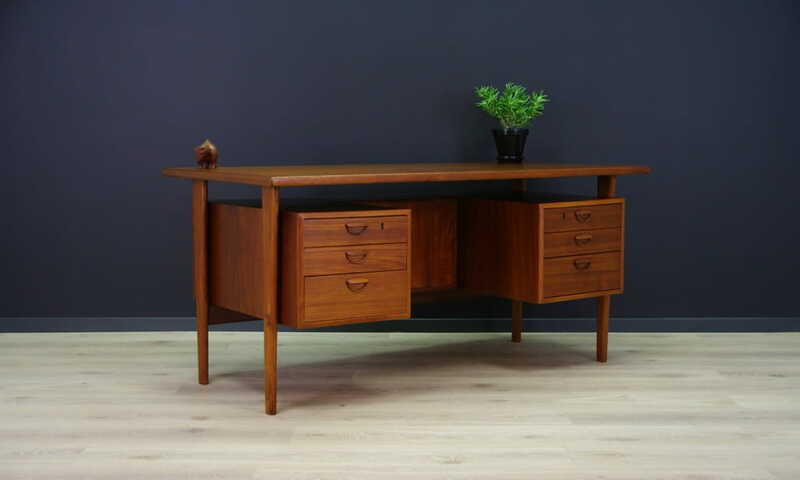 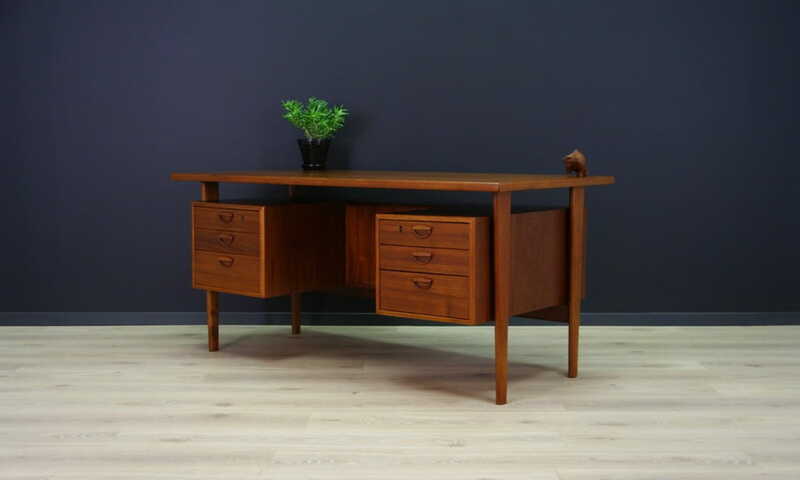 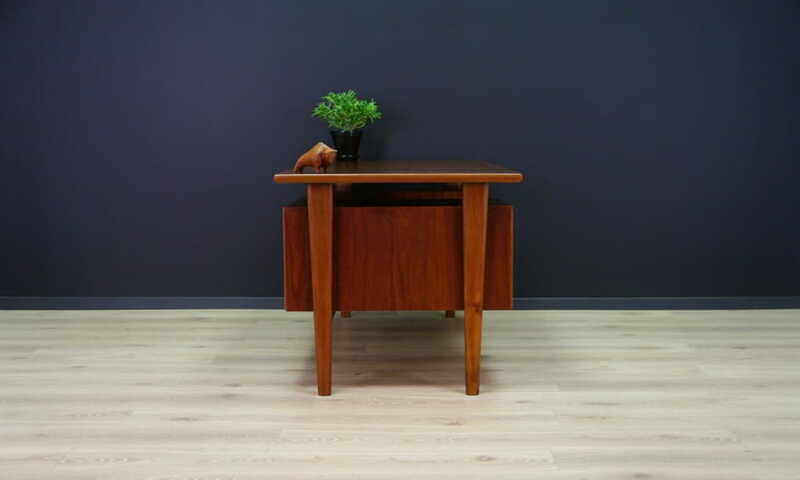 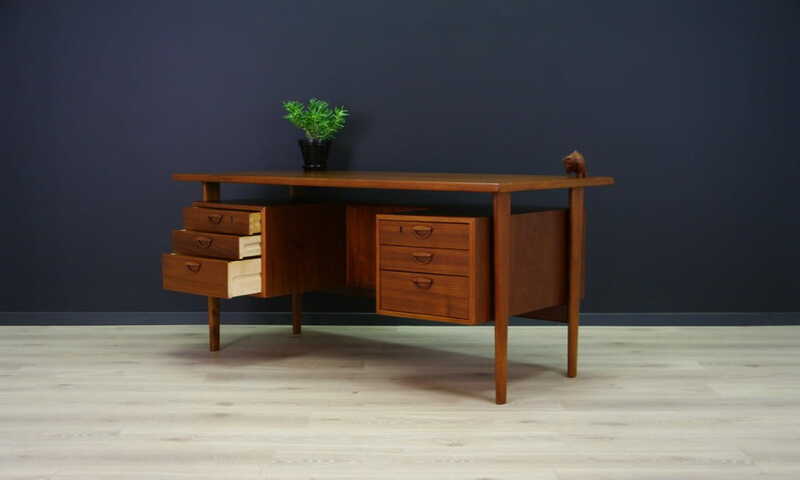 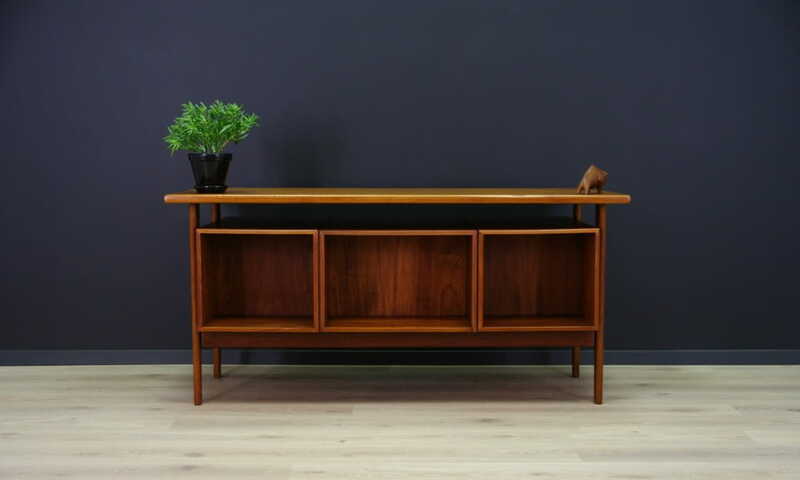 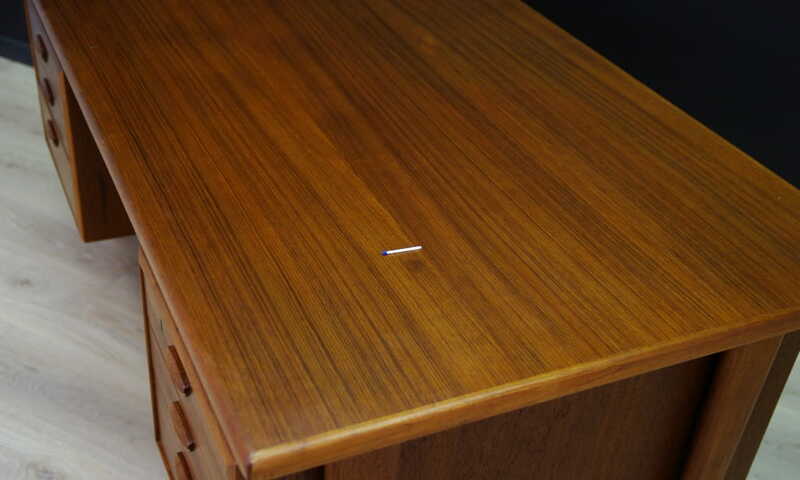 Vintage desk from the 60s / 70s, Danish design. 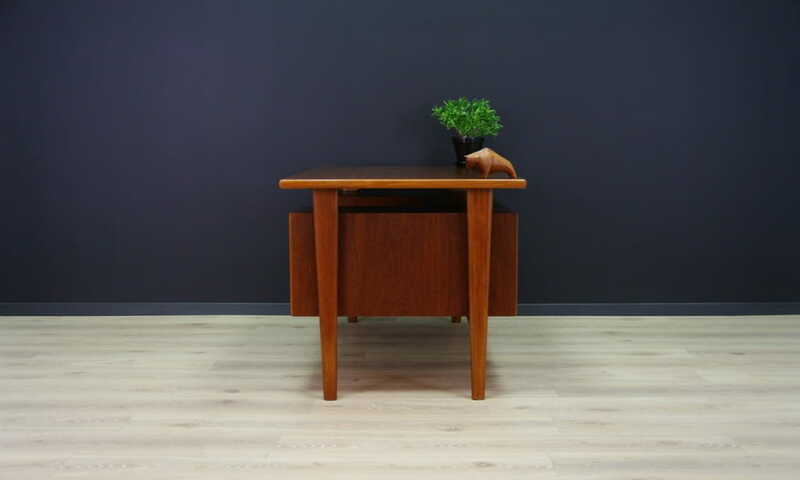 A minimalist form designed by one of the leading Danish designers - Kai Kristiansen. Finished with teak wood veneer. 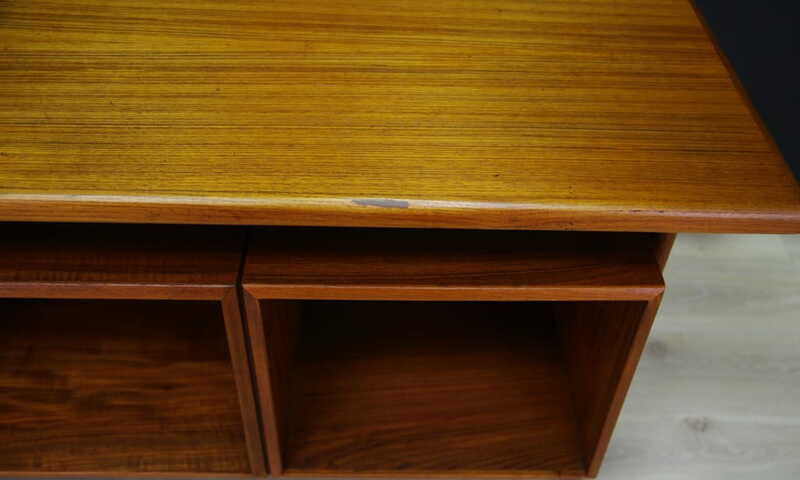 A practical front with six drawers, at the back of a bookshelf. 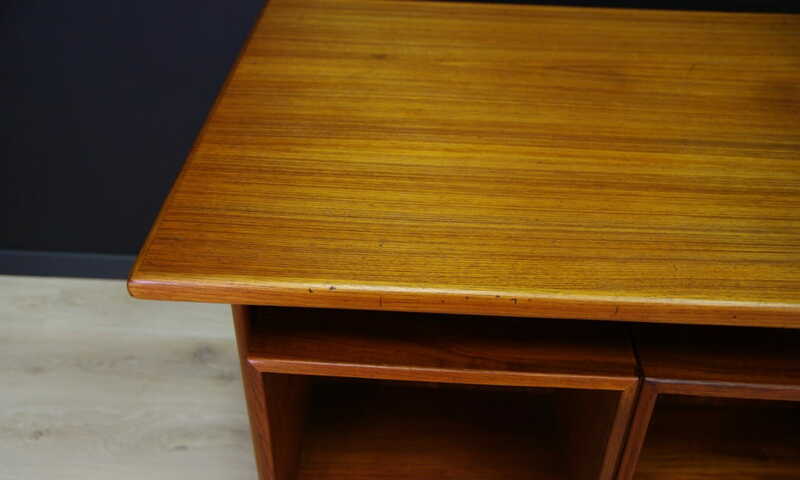 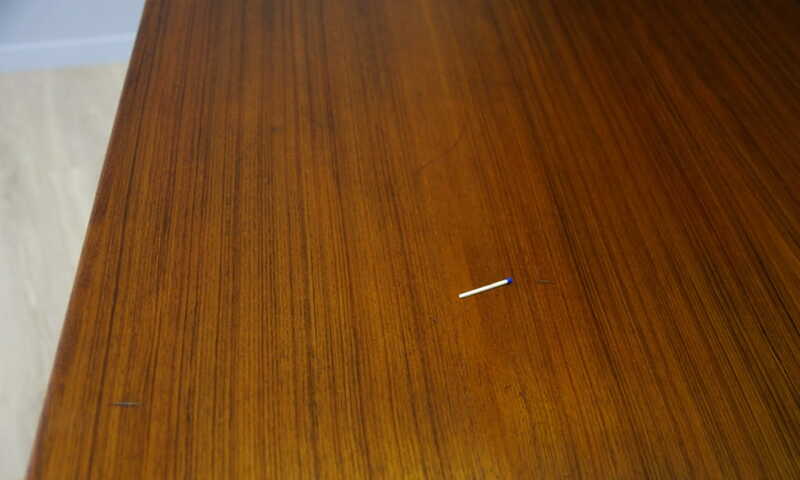 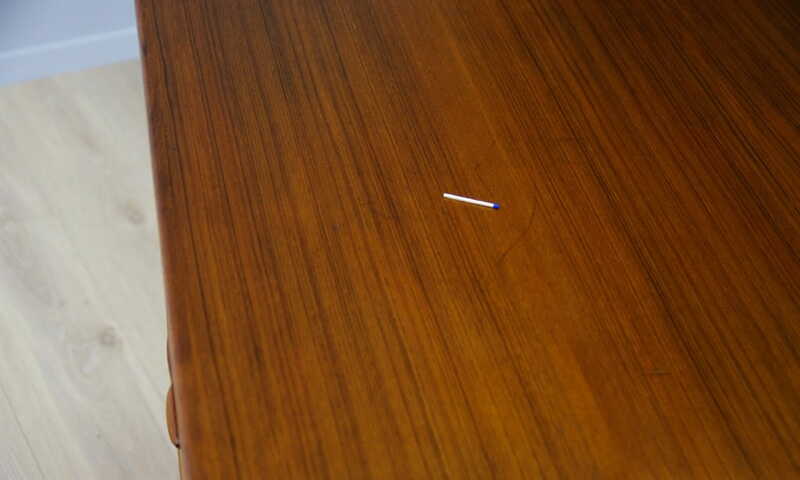 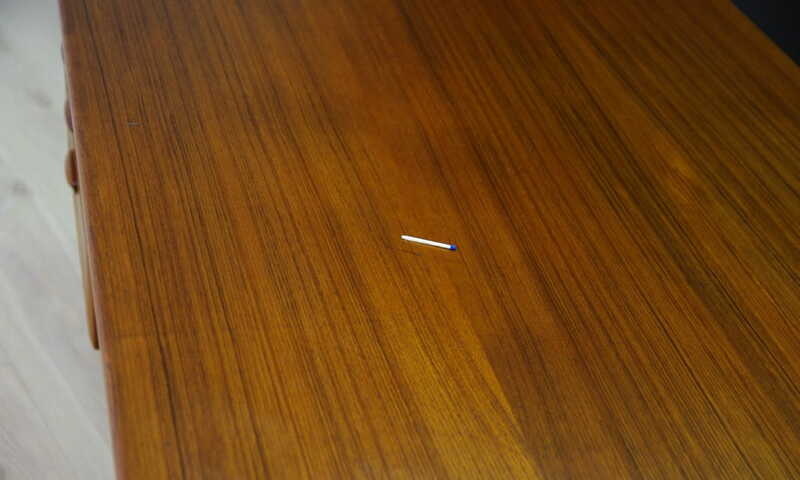 Preserved in good condition (small dings and scratches, filled veneer loss, darker spot on the table top, no key) - directly for use.